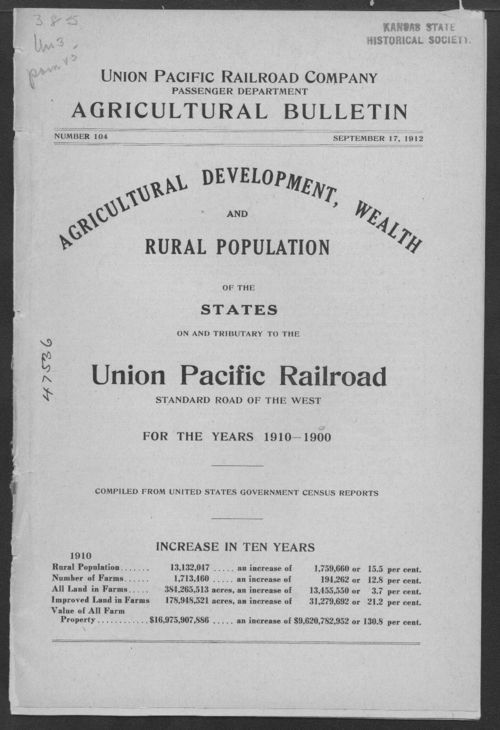 Union Pacific Railroad Company Agricultural Bulletin (No. 104). Union Pacific Railroad promotional advertisement showing aggregate statistical wealth values and population figures for areas west of the Mississippi River during a ten year period of time.